Stunning home situated on an oversized corner lot in cal-de-sac. 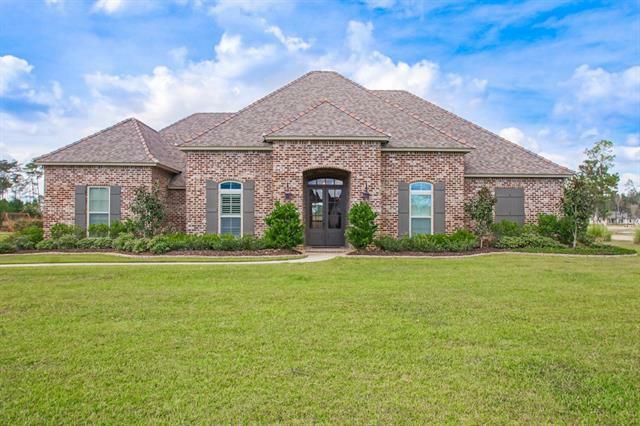 Fabulous split plan with 3 full baths and five beds, Formal dining room, coffered ceiling, fireplace & massive built-ins, beautiful kitchen w/ large island, butlers pantry, wine cooler, granite throughout. master bath w/ glass shower enclosure. grey and white colors. Covered patio, with TV and full outdoor kitchen and fireplace. Pre-wired and planned for a pool. With an outdoor shower. Pre-wired for surround sound. 3 car garage. A must see! Listing provided courtesy of Kim E Fern of 1st Louisiana Realty, Llc.